Whether we're talking about home or backyard vegetable gardening or crop production, the following are the root crops one would commonly see grown in the Philippines and sold in Philippine markets. 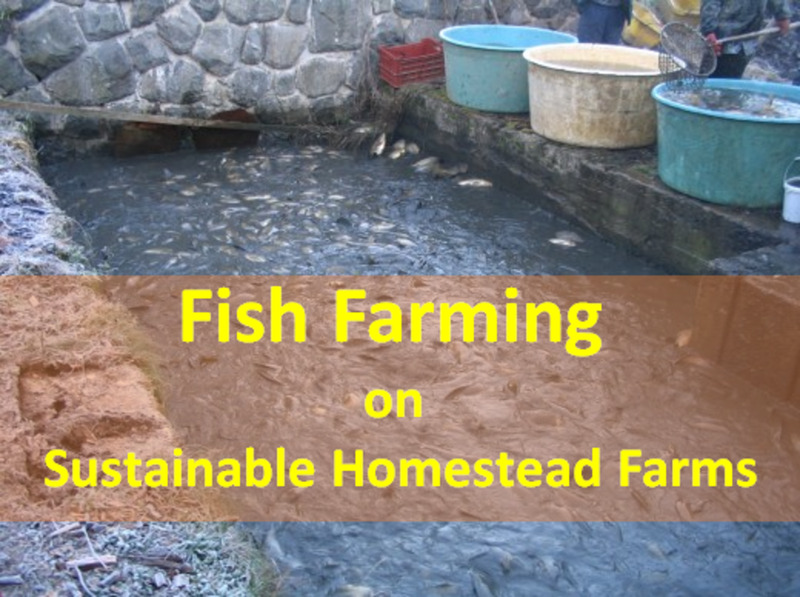 It's a good source of income as well when grown in backyard gardens for those living in the provinces and not only that, a fresh product for the consumption of the family. I remember back then, my parents would grow cassava, sweet potatoes, ginger, and vegetables on the farm's vacant lot where we lived for almost four years. 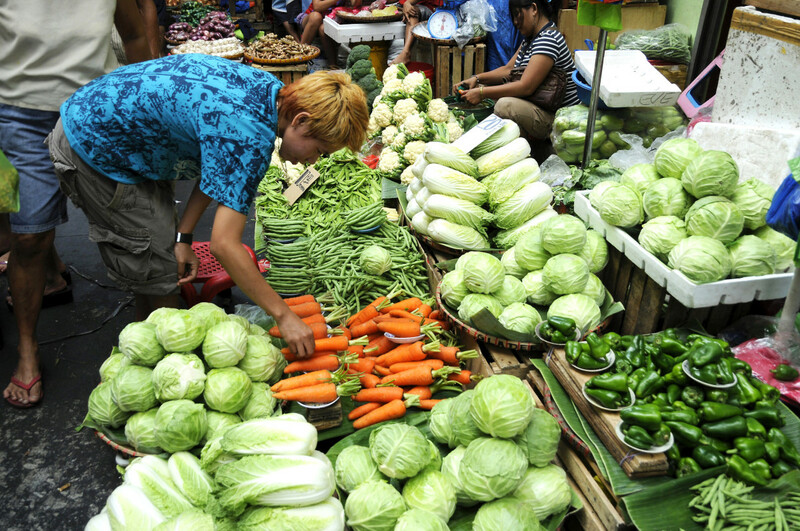 We always have fresh vegetables whenever we wanted to and mom sells it as well in the town's market for an extra income. Not only that, either the sweet potatoes or cassava when ready for harvest makes a quick, healthy snack too. You probably are familiar with those mentioned, but what about the rest? What are the root crops commonly grown or found in the Philippines? Jicama is one of those crops that would always remind me of my childhood. Traveling back and fort from my birthplace, Zambales, there are always jicama vendors on the bus station trying to get passersby and passengers attention and some would even get in the bus, offering passengers to buy jicamas. Known as singkamas in Tagalog, jicama is a favorite with or without vinegar and salt. Its juicy, crunchy flesh is rich in A, B, and C vitamins and most likely you would see jicamas available on fruit stands while traveling. 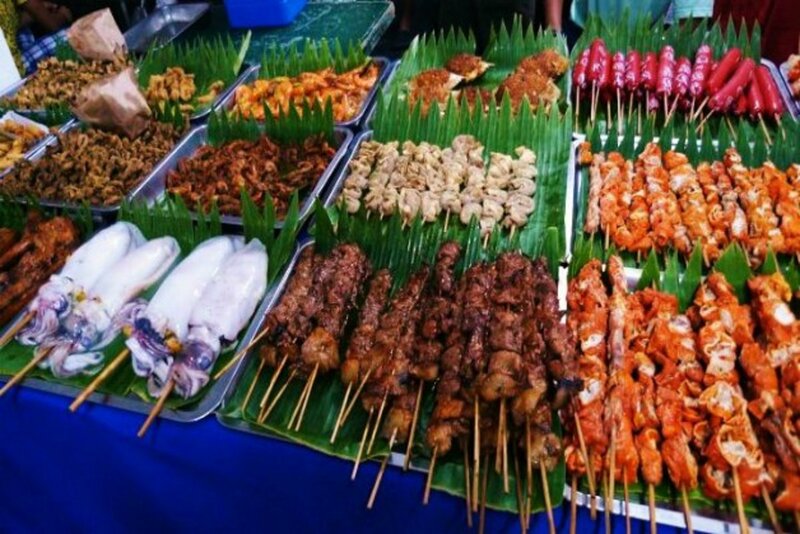 It is also being sold in skewers usually with shrimp paste. 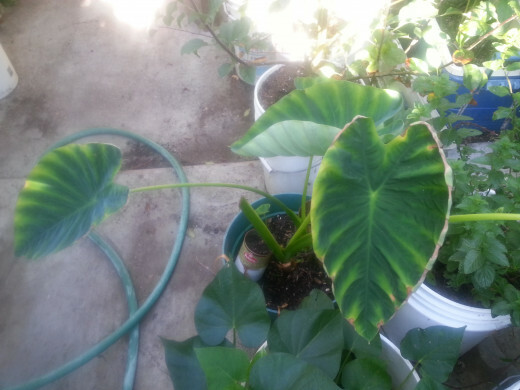 This tuber is from the taro plant, a perennial plant usually grown for its tubers. 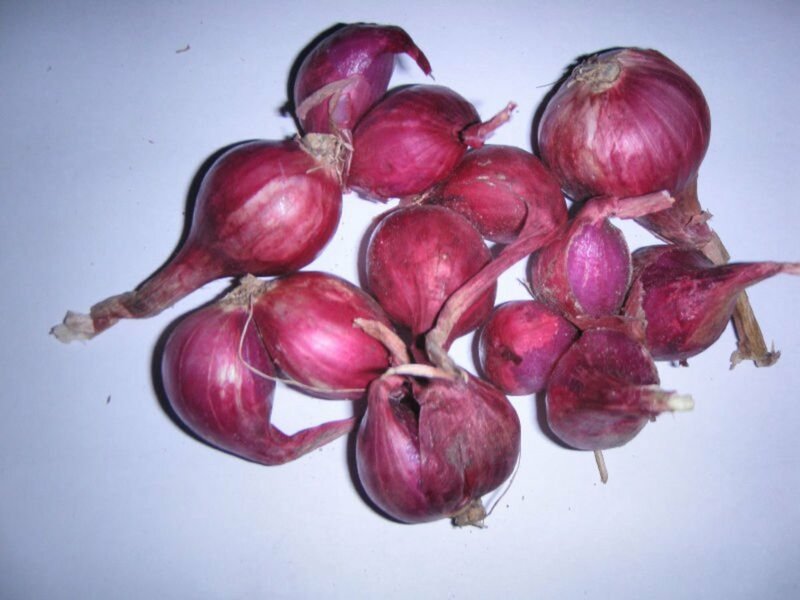 It is a staple food of the African and South Indian people and is cultivated in the Philippines for the same reason. But aside from being grown as a root vegetable in the Philippines, not only the roots are a food source but so is the leaves as well and the stalks. In Bicol region of the Philippines, a Filipino dish called laing is a well known dish made from taro stems and leaves. The leaves and stems are sun-dried, leaves are shredded into pieces while the outer skin of the stems are peeled off and cooked in coconut milk. The corms can also be added on this dish. 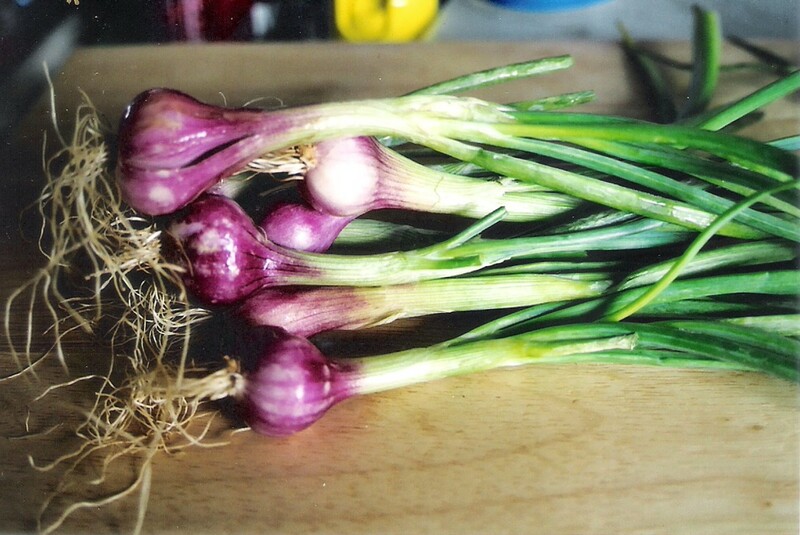 * The white to purplish corms can be boiled, baked, or roasted. * When boiled or baked, salt and sometimes garlic is added as condiment for a meal. When boiled, sugar and grated coconut (or just sugar) is use to compliment boiled taro, specially to those who likes some sweetness into it. 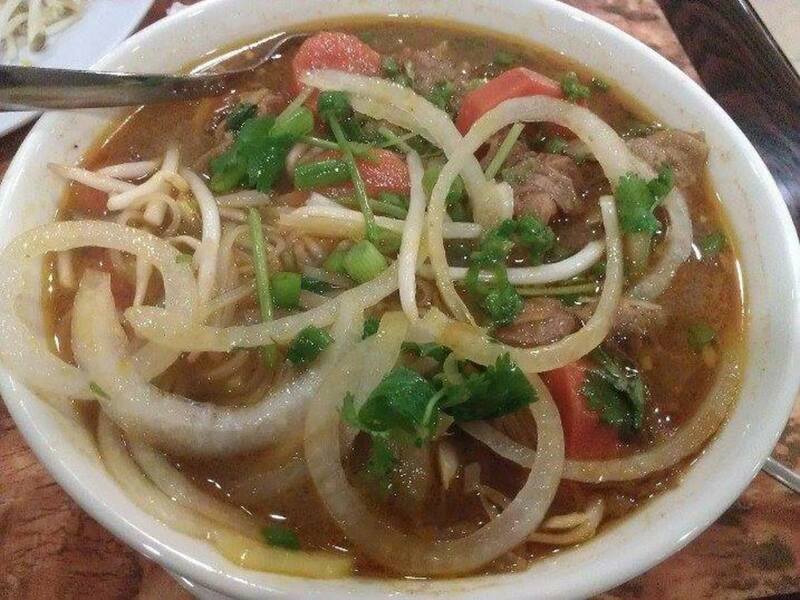 * It is also added on pork or beef sinigang, which is a kind of stew. * It is also use in Chinese desserts, pies, an ice cream flavor, for cakes, and for those who loves bubble teas, taro is an ingredient. And there are chips made from taro too. The rhizomes of the arrowroot plant maranta arundinacea, a smooth, erect herbaceous plant that can grow from 3 to 6 ft. in height. It is cultivated in the Philippines for its rhizomes. 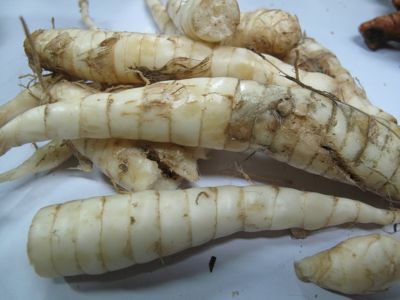 Arrowroot, or known in the country as araru, is one of those root crops that I was fond of and enjoys having for a quick snack in the afternoons at the farm. 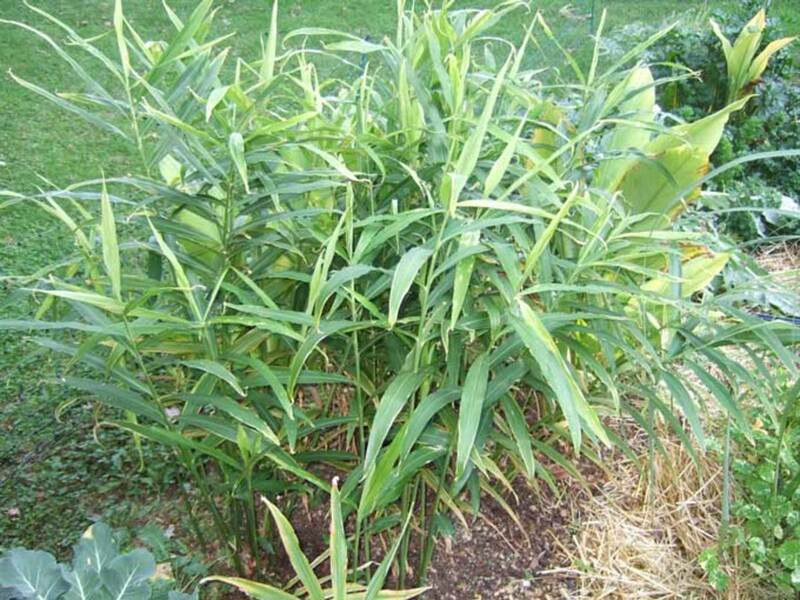 Back then, araru plant grows in the banana island where we had lived and since it became a favored afternoon snack, I would then dig an araru plant when I spot some growing for a satisfying boiled arrowroot snack. 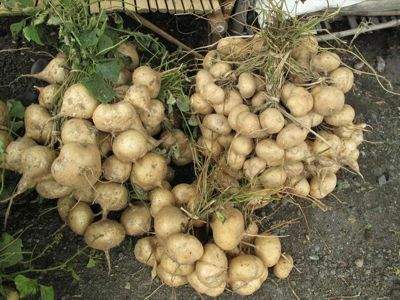 * Often cultivated for their arrowroot starch. * Araru, is often boiled or roasted. * It is also an ingredient for making infant cookies. * Roots, when mashed are then plastered into the skin to treat spider bites and insect stings. * Its starch is also use in starching clothes in the Philippines. I don't know though, as to this day, if this is still being done. It is probably what my grandmother used back in the days in starching clothes. Newly washed and starched blankets are stiffed or hard. 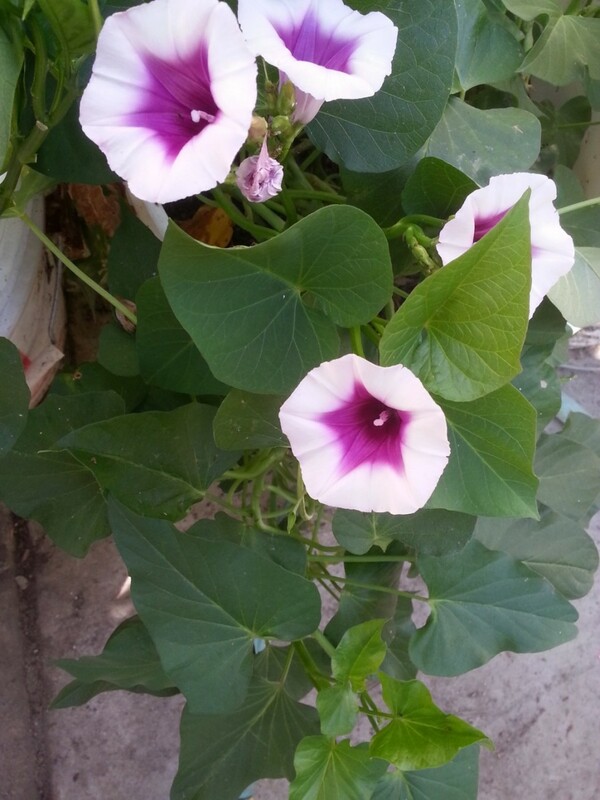 A spreading, easy to grow, herbaceous plant, sweet potato belongs to the morning glory family. The tuberous root is considered a staple food in some countries, and so are the young leaves. Sweet potato is a widely grown crop in the Philippines not just for its tuberous roots but also for the young leaves. 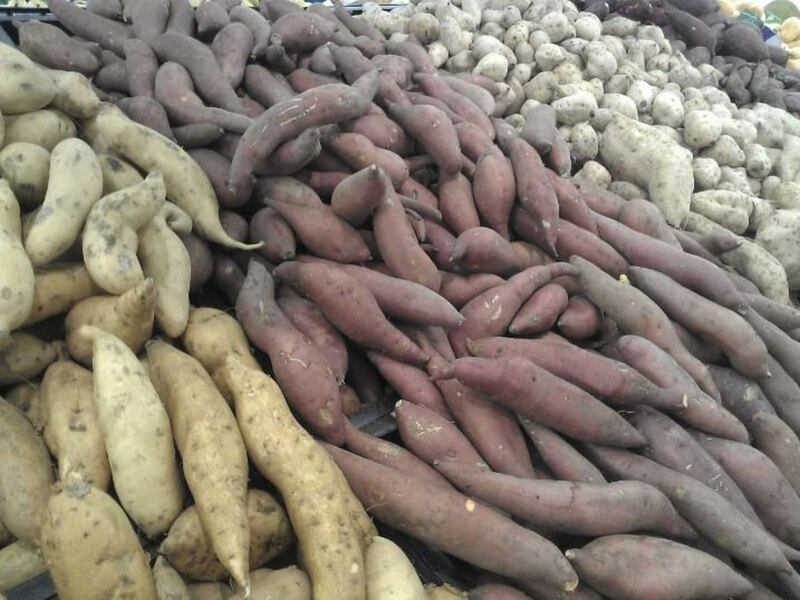 The tops and the young leaves of sweet potato, is consumed as a vegetable and is a regular amongst other greens at wet markets and vendor stands. It is a favorite veggie ingredient on some Filipino dishes such as the sinigang which is a soured dish and the Ilocano dish pinakbet. 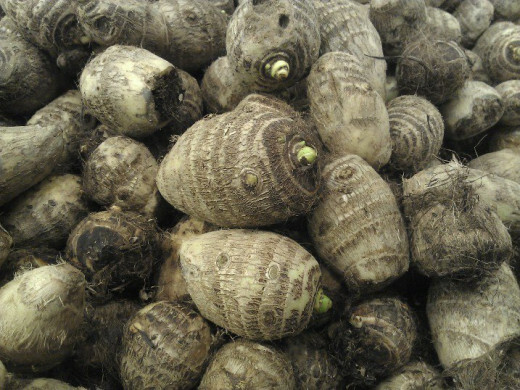 The tuberous root is also an important crop in the country, a farmer's food as they call it. With the tops as a vegetable crop, the tuberous root on the other hand is an easy afternoon snack that can be boiled or fried and caramelized. 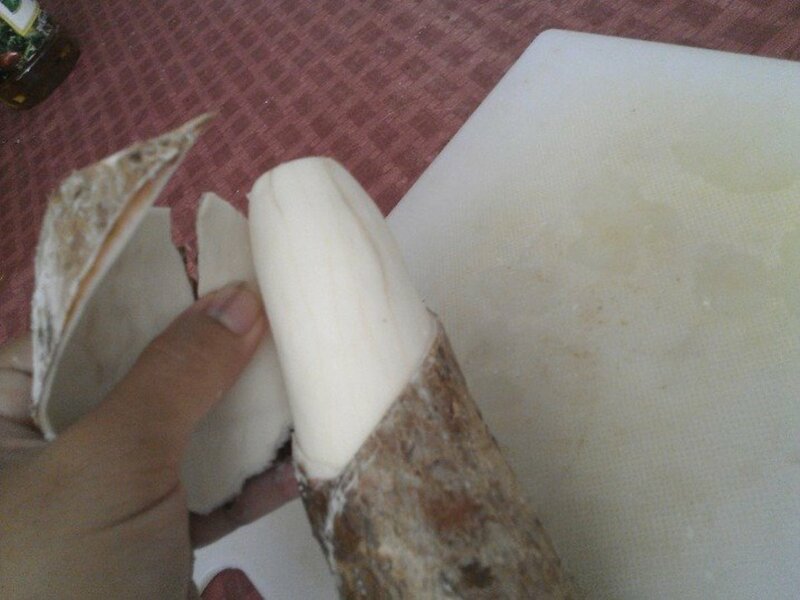 Cassava is another major root crop in the Philippines. 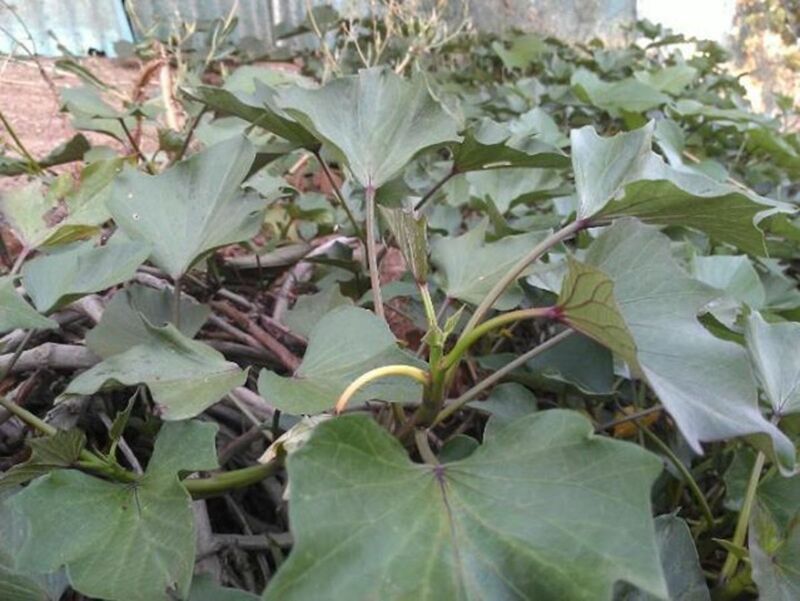 Known as kamoteng kahoy, this woody shrub bears the tuberous roots rich in carbohydrates, minerals, A, B, C vitamins and protein. Encased in a detachable rind is a firm, white homogeneous flesh that is the main ingredient on some favorite Filipino desserts such as the nilupak which is made from grated cassava with condense milk and butter, and cassava cake which is also made from grated cassava, eggs, and coconut milk. 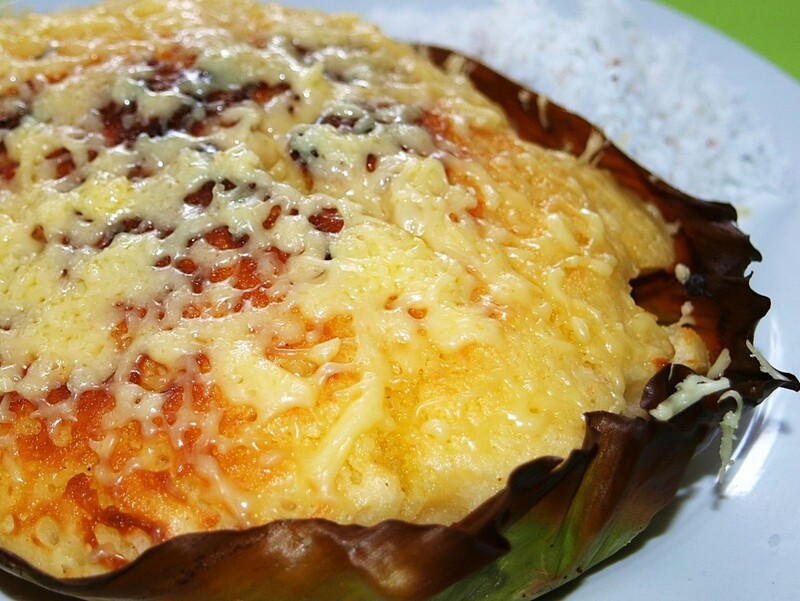 It can also just be boiled for a mid afternoon snack called merienda and is serve with shredded coconut or sugar. 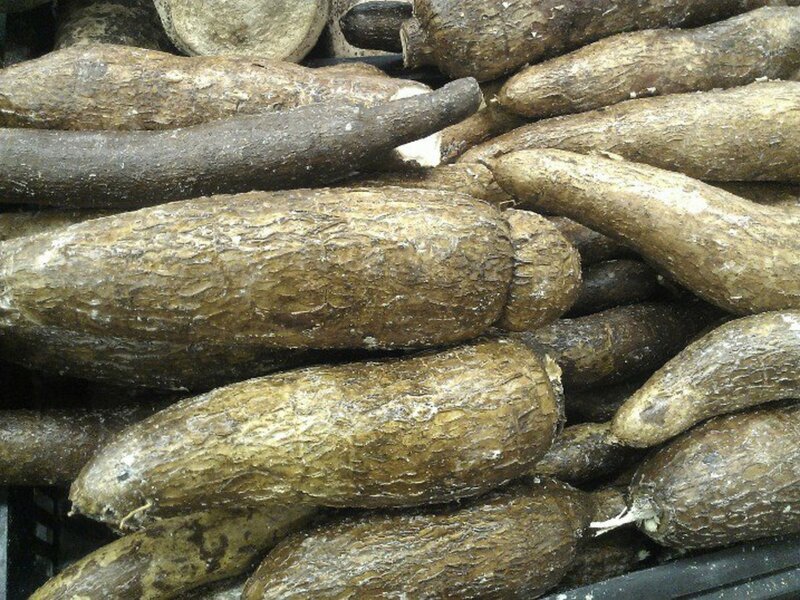 In other countries such as in in Indonesia, if not fried or boiled, the cassava roots are made into a cake from fermented tuberous roots. In Brazil, a crepe made from the cassava powder is served with fruit jellies or shredded coconut. The ginger or luya as it's known in the Philippines is often use as a spice. Just like the lemongrass, the ginger is used in cooking to rid of fishy smell and serves the same purpose in sauteing meats. It is use as well on some other dishes such as the pinapaitan of the Ilocanos which is a stewed beef innards. 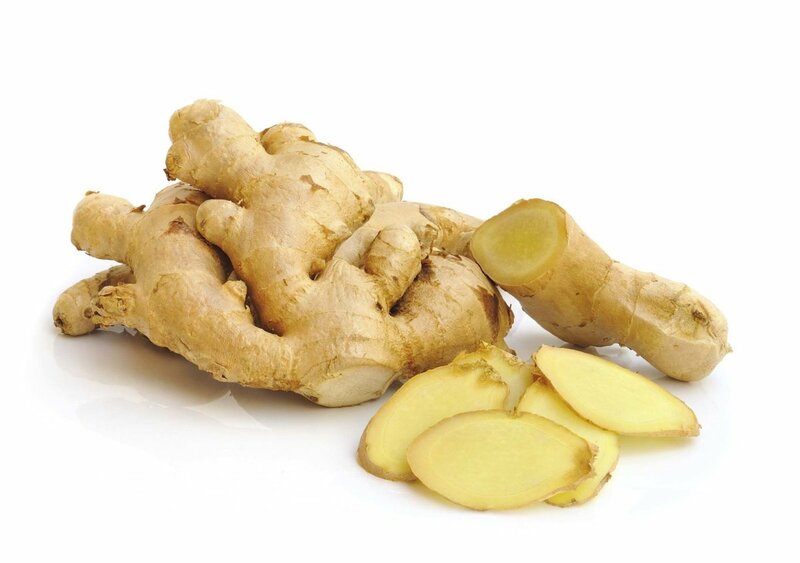 Aside from its culinary uses, ginger is also a good herbal remedy and can be made into ginger tea which treats cold and cough. Some other products such as candies, cookies, crackers and the carbonated soft drink ginger ale is also made from the ginger root. Indeed, this root crop is a valuable addition in the kitchen. 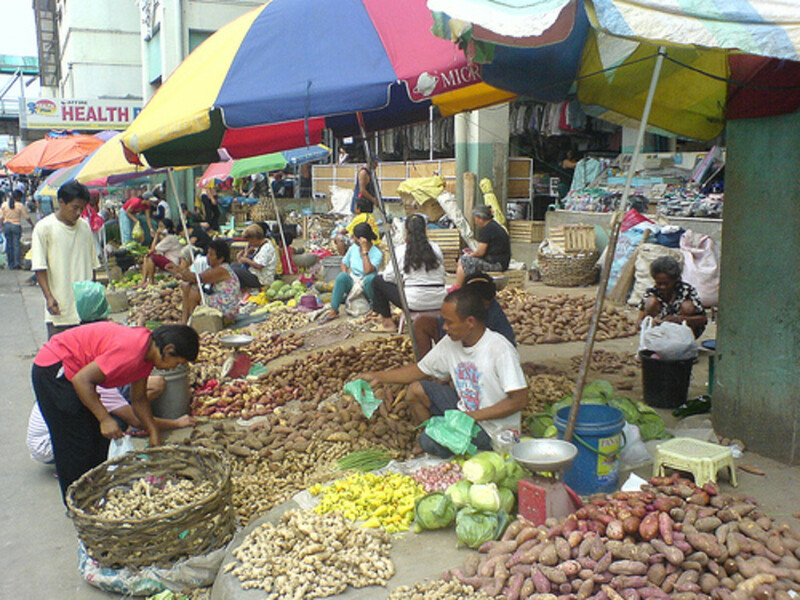 Peanut is another valuable crop in the Philippines. It is commonly seen sold in roadside stalls and in the markets either boiled, roasted or fried along with other Filipino street foods. It is a favorite amongst travelers specially while still warm and would often seen sold by street vendors wrapped in a plastic bag with other goodies. 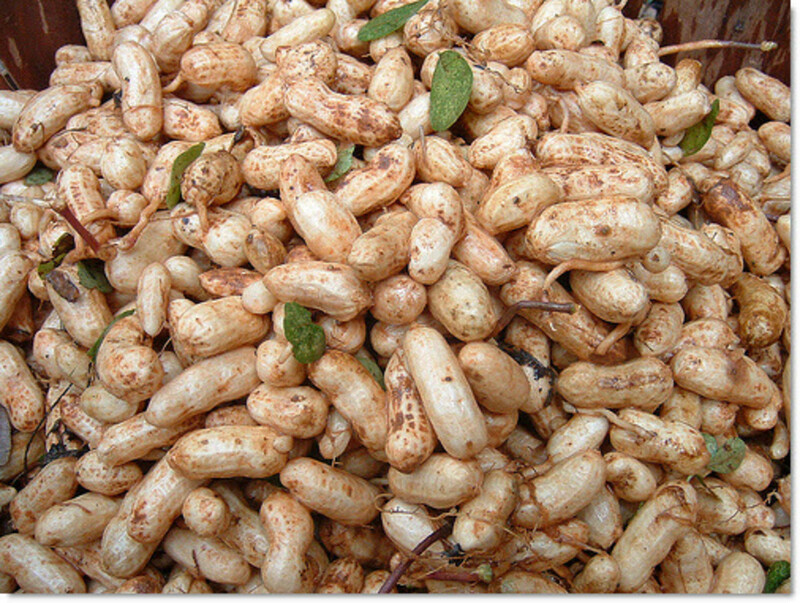 Peanut, or known as mani in the country is also one of the favorite snacks coated with flour. There's been few peanut coated products that I knew of and had tried and two of them are Nagaraya Cracker Nuts and Mayasi. Peanuts are also made into cooking oil. Garlic, called bawang is a frequent seasoning in the Philippines. It is used in many Filipino dishes such as the soured fish dish paksiw and with onion, is often used in sauteing as a lot of Filipino dishes are sauteed first. Usually crushed, or minced, together with ground black pepper and some Thai chili in vinegar or soy sauce, garlic or bawang is used as a dipping sauce for fried, broiled or grilled fish, barbecues, and meats. Aside from the culinary usage of garlic, it is also used as an alternative remedy. 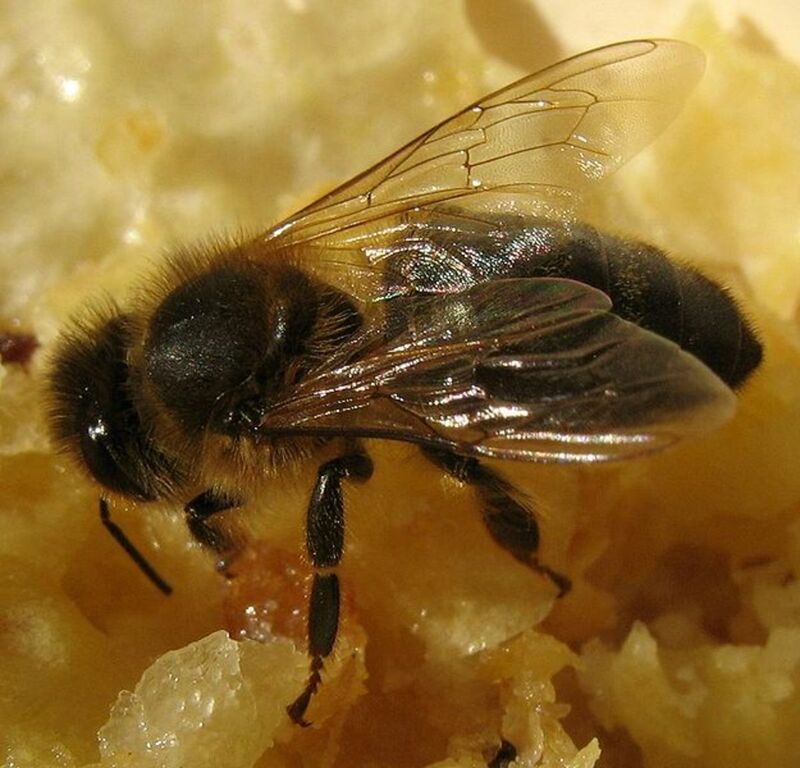 From a young age, I had used a mixture of minced garlic and onion, topped with honey to treat cough, colds and an oncoming asthma attack, and all that I had learned from my mother. 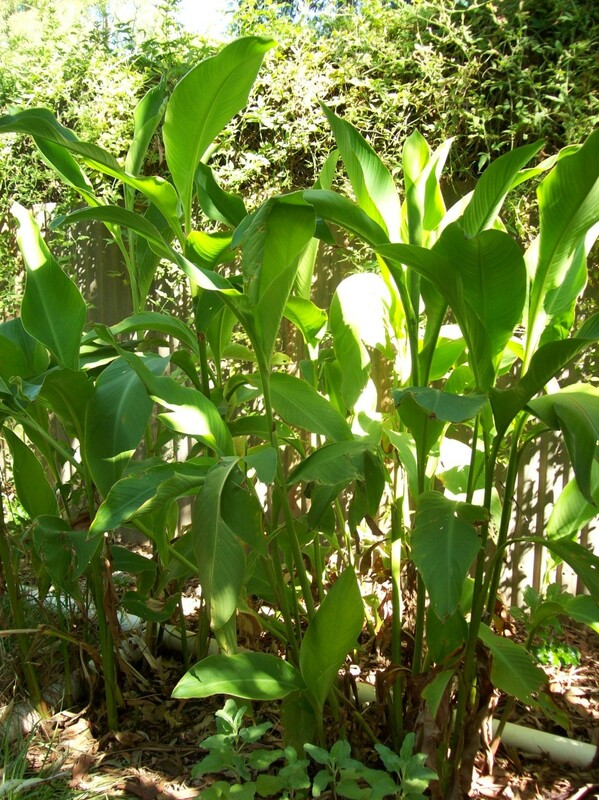 It is also used in treating toothache and a good disinfectant. 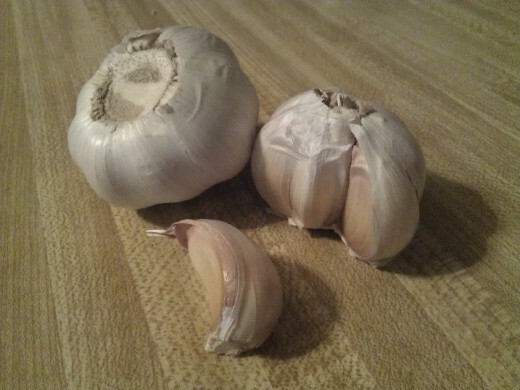 In the Philippines, the garlic is believed to ward off aswang, which is a Filipino vampire-like mythical creature. 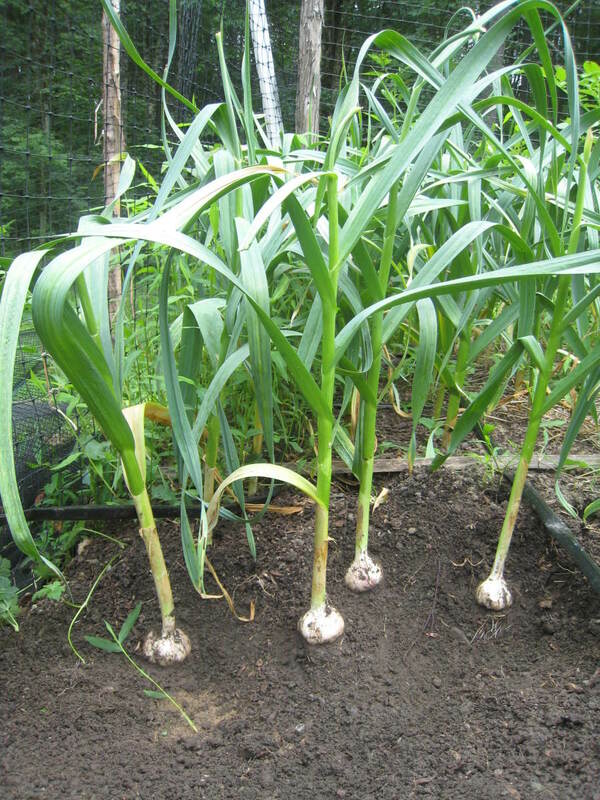 Shallot, known as sibuyas tagalog or lasona, could also be seen grown into vegetable gardens, even just in pots. We grow ours in pots and they do very well. The shallot ( and its leaves) is used in dipping sauce along with diced tomatoes, and with or without diced green mango. With either a mixture of soy sauce and lime or one's favorite fermented shrimp or fish sauce, it is a favorite dipping sauce for grilled or fried fish. The diced leaves is also used to compliment the Filipino rice porridge, arroz caldo. Have you grown any of these? Yes. I've tried growing most of those. Yes. I have shallots in my garden. 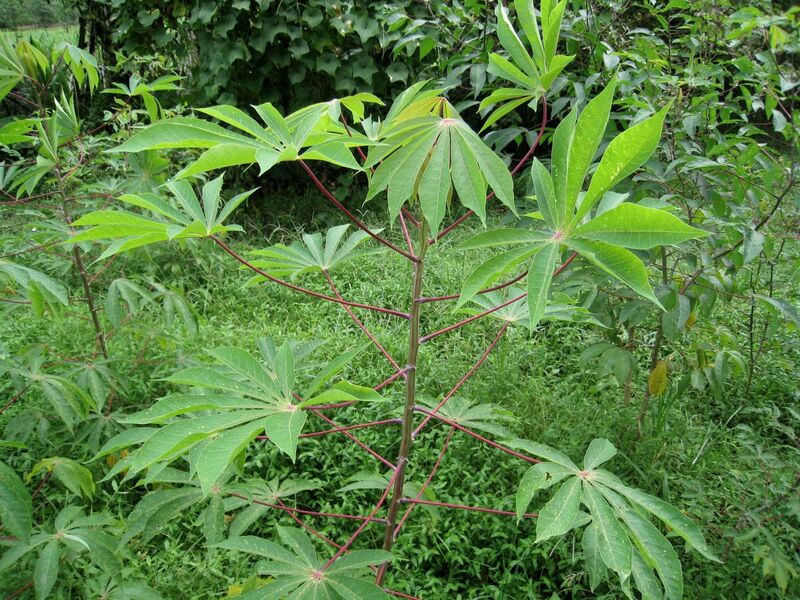 I used to grow cassava before. Very well written and informative article. And here I was all this time, thinking that cassava was a melon! We'll be growing all of these on our farm om Marinduque... eventually. does anyone here knows the percentage of gluten in galyang plant? Hi ! I'm a student at SEED Philippines where I am focused on studying and creating products from root crops. I would like to ask if you have a graph showing the different kinds of root crops here in the Philippines and what are their statistics. 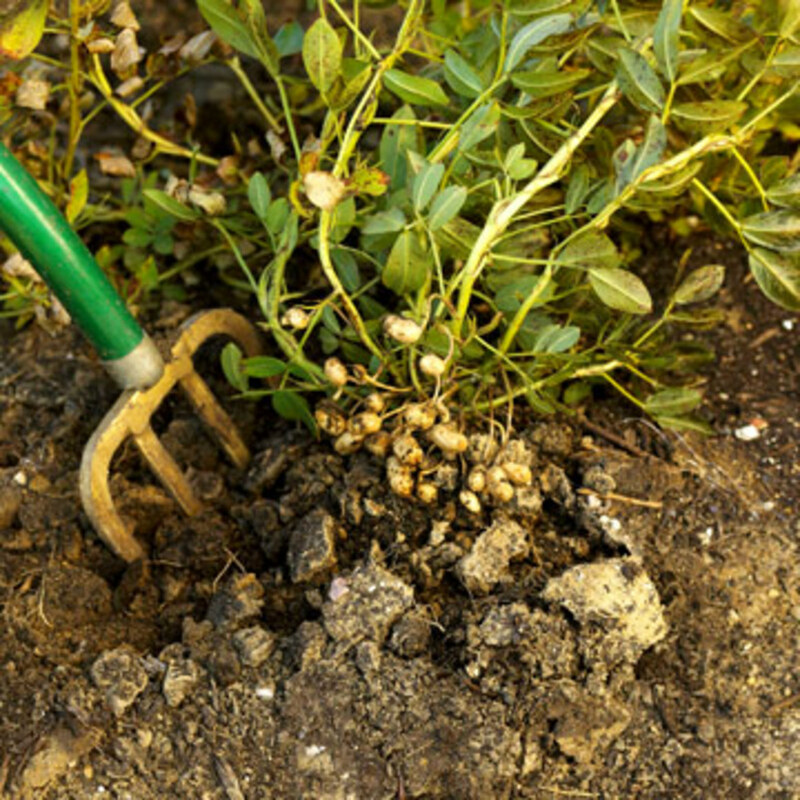 What is the most cultivated and grown, the most popular and least grown ? Can anyone help me, I've been looking for the tagalog term for "Yautía / Malanga" (Xanthosoma Sagittifolium) and if we can find this at any local market or palengke. what is the english of "karrot"...a root crop wildly grown in the philippines. It is poisonous if it is not thoroughly cleaned, washed in the river.. The taro in the picture is actually linsa which grow on land and the leaves are no good for laing but can be used as hog feed. The taro that are good for laing usually grows on water/wet soil and is called natong/apay/katnga. I've heard of lami before. Thanks for the heads up. Will add it on the list :) And so Is tuge. You did not mention a root crop from a vine called Lami in Tagalog. The root is peeled, chopped into thin slice and dried under the sun.Then it is soaked in salty water in sea or swamp for a whole day to get rid of the toxin.Then consequebntly dried again and can be steamed for a nice merienda with grated coconut and sugar. Another Tagalog root crop is called Tuge and like ube is boiled in water for snack.What are they called in English? Hi, where are you ba? :) My dad is from Bicol too. I asked him if he knew a root crop called bagong but says he hadn't heard of bagong before. But could it be "namu," "galyang," or "linsa"? How does it look like? Maybe he knew it in some other name. He's from Albay. Can you help? Looking for a root crop called "bagong" (bicol). Thank you! :) Glad you found it an interesting read. Thanks for dropping by, and sharing the hub :) I know arrowroot powder but wasn't lucky to find arrowroot in stores in my area, I missed eating it. The jicama, it's crunchy, enjoy it with vinegar. Never heard of Jicama though I'm aware of the rest. Also, the first time seeing Arrow root though we use arrowroot powder. Very informative hub. Voted up and shared. 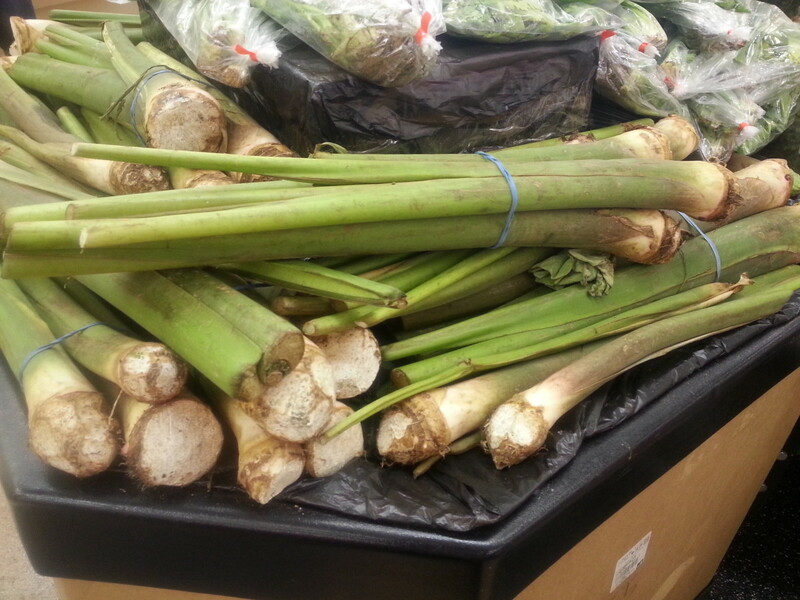 Root Crops Grown In The Philippines is an interesting hub the markets look so interesting with the many root crops. Hi Avian :) Pleasure is mine for sharing them. Thanks for stopping by on the hub. I have used many of these items in my own cooking, so I understands their great worth. For those that I didn't know about, this is wonderful information. They do look like interesting, specially for those who doesn't see them often on markets. Well, that's how I feel when I saw all these other root crops on our local Ralphs market, crops I don't think I had seen before and that's where I got this hub idea. I'm planning to make a hub for those strange other root crops too that I saw. What interesting root vegetables, precy. Thanks for making us all experts in these native Philippine foods. And for including cooking details, too.